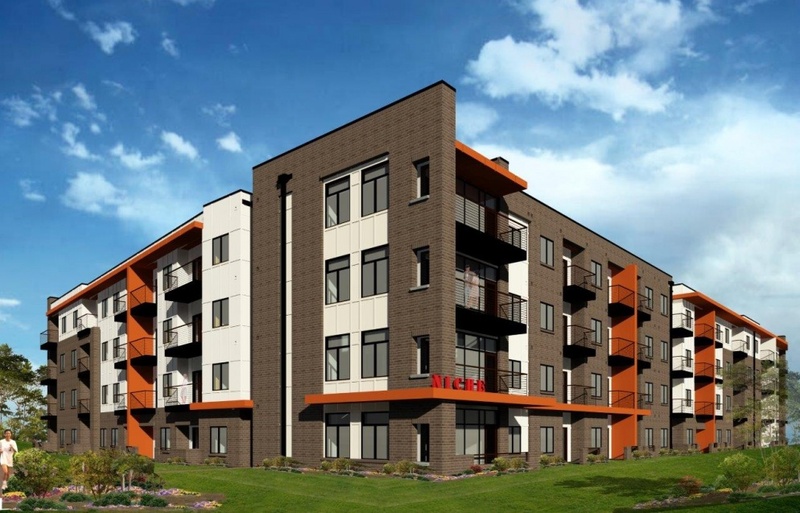 Construction has started on a modern, boutique-style apartment building along the Augusta Canal within the city’s medical district. A ceremony for the 106-unit building, aptly named CanalSide, was held Tuesday at 1399 Walton Way as developers gathered with city officials to kick off the project. Site work on the property started in late August. The four-story building will include a mixture of 1- and 2-bedroom units that range from 500 to 1,000 square feet. The apartments should be complete by May 2015 and will be priced at a monthly rent between $850 to $1,300, said Jack Levinson, vice president of the Charlotte, N.C.-based developer, Lat Purser & Associates Inc.
Levinson listed graduate students and Fort Gordon personnel as expected tenants. The privately-funded development is across from University Hospital on a narrow 2.5-acre plat at the corner of Walton and St. Sebastian ways. The investment cost will total about $11 million, Levinson said. A separate road improvement project is underway in front of the property that will bring a new traffic light at Walton Way and D’Antignac Street. The light should be installed before the apartments are complete, Levinson said. The apartments will be managed by My Niche Apartments, a subsidiary of Lat Purser & Associates, which has a portfolio of 16 apartment developments finished or under construction in Savannah, Ga., and across the Carolinas. Each “niche” is built with a unique, eco-friendly design located in “colorful” and “eclectic” neighborhoods, according to the company’s web site, mynicheapartments.com. A page for CanalSide with exterior renderings is viewable on the company’s web site, but Levinson said more details will be added in the next two weeks.